Product code: 18963 Category: Notebooks, Jotters & Journals. 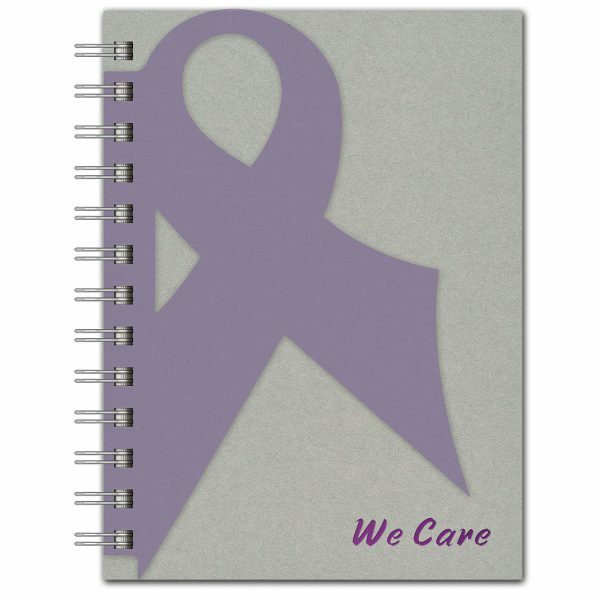 Take your next fundraising campaign to the next level with a unique layered ribbon cover! This 5 x 7 graphic pad features a vibrant poly overlay atop a classic cover and packs a powerful punch. 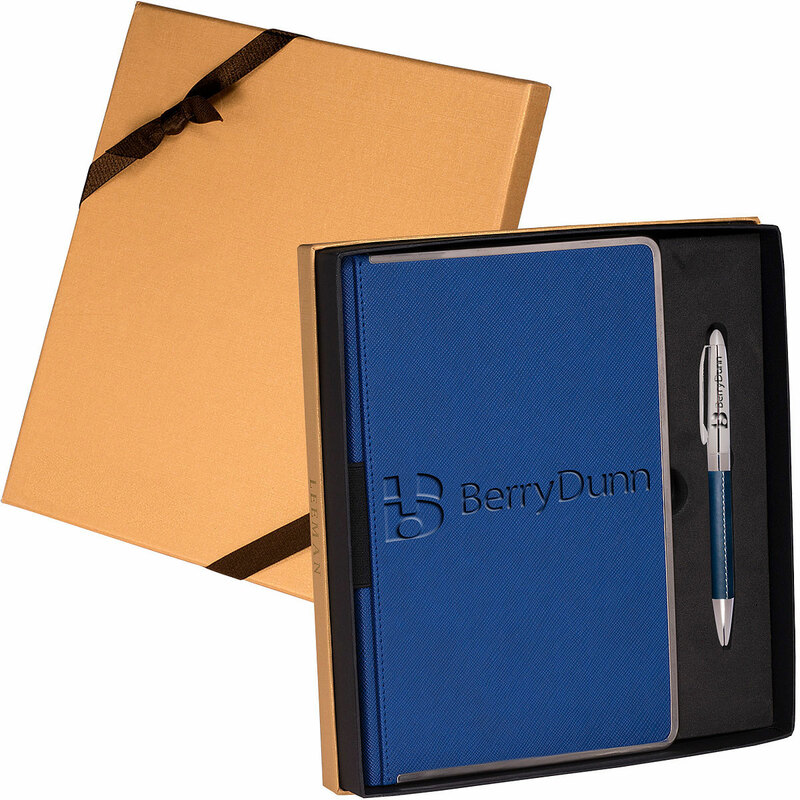 This wire bound notebook includes 100 sheets and comes with a pen inserted in the pen port. Size Choose an option5 in. x 7 in. Setup Charges :$65.00 per colour/location. Pricing includes a one colour imprint on one location* May vary according to product availability from supplier. ** Price subject to change without notice. Method : Foil Print Imprint Area : Max: 16 sq. in. 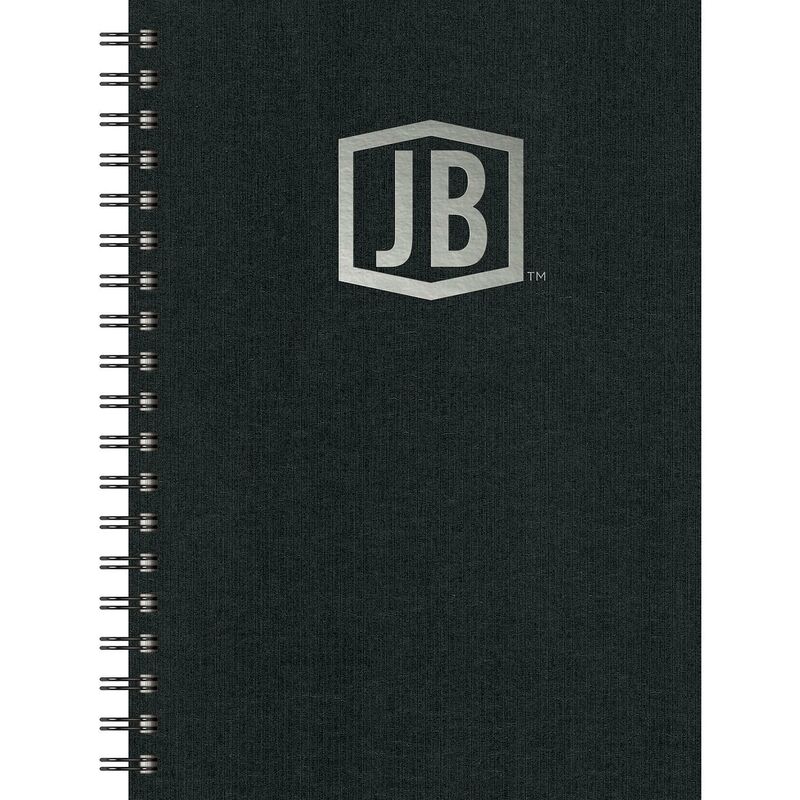 This classic notebook will not go unnoticed! Add your logo in an elegant foil imprint on the paperboard cover. Contains 100 sheets of lined filler and features black binding wire. This textured Bohemian Textured Journal makes a great notebook for conferences and training sessions! 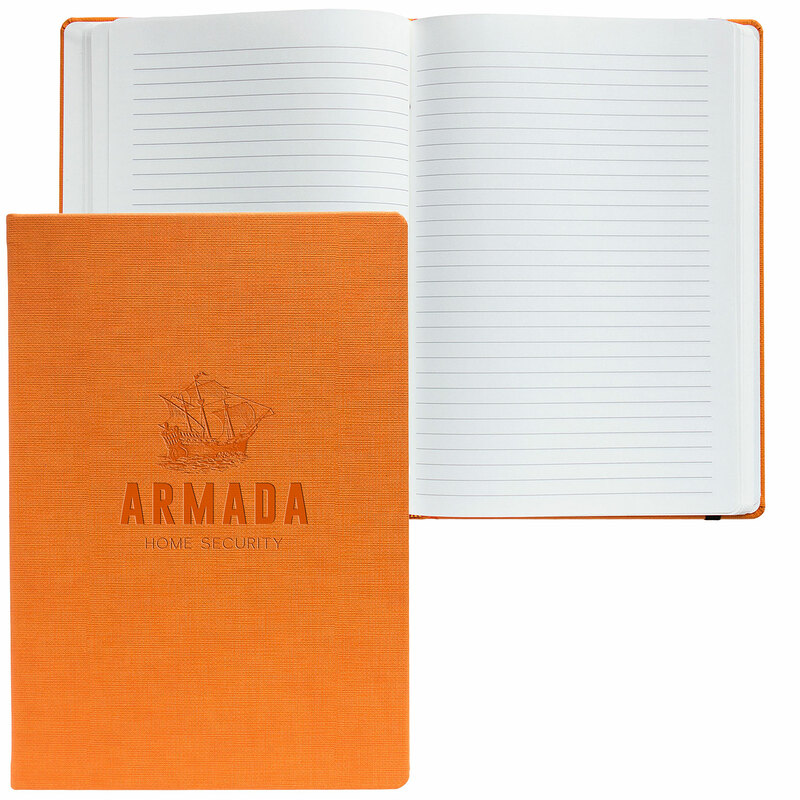 The Faux Leather hard cover comes in bright colours and is filled with 80 sheets of wood-free lined filler. Features a paper pocket inside back, matching satin ribbon bookmark, elastic privacy closure, and thread-sewn book binding. This Event Planner will keep you on track! Features a short-cut clear Poly front cover revealing a short-cut, full color two sided insert, and paperboard front and back covers. Bound with black wire for easy page flipping. These bright TriPac's give you the flexibility of using different cover materials in one set, all coordinated with a GraphicWrap! Each set comes with three BrightNotes which include 50 sheets of ruled 50# filler, rounded corners, and perfect-bound spines. The full-colour GraphicWrap encloses all three books. Select up to three different cover colours for your pack. Dream, discover, explore! The TravelTips Journal is just what you need for your next adventure. 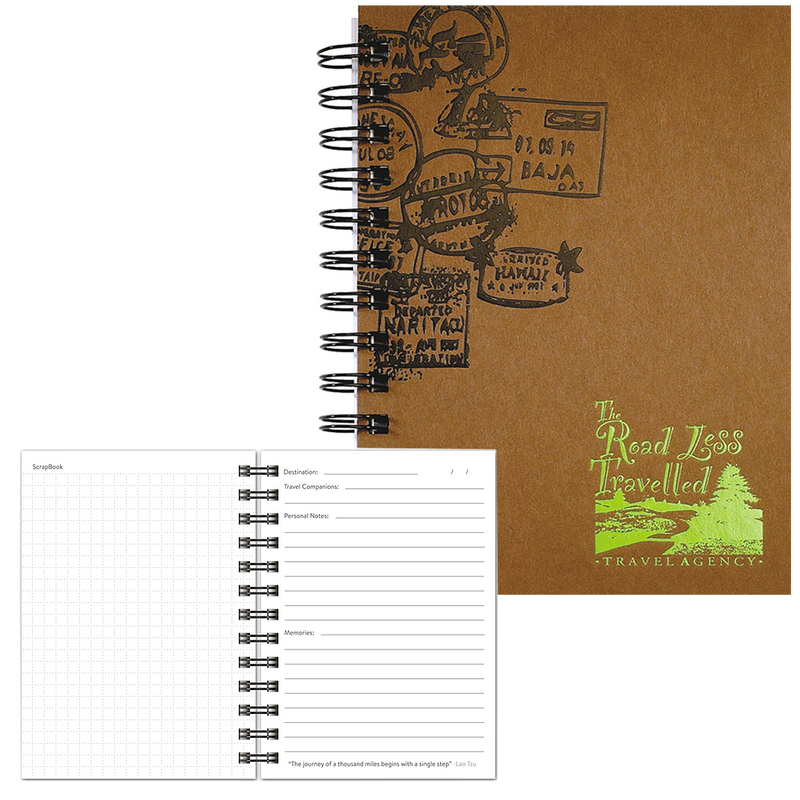 This Poly or Paperboard journal is filled with 50 sheets of travel log filler, and includes 3 double-sided, full-colour TravelTips inserts featuring basic travel information and tips. Also detailed with black wire binding and a stock imprint of traveler passport stamps for additional impact. 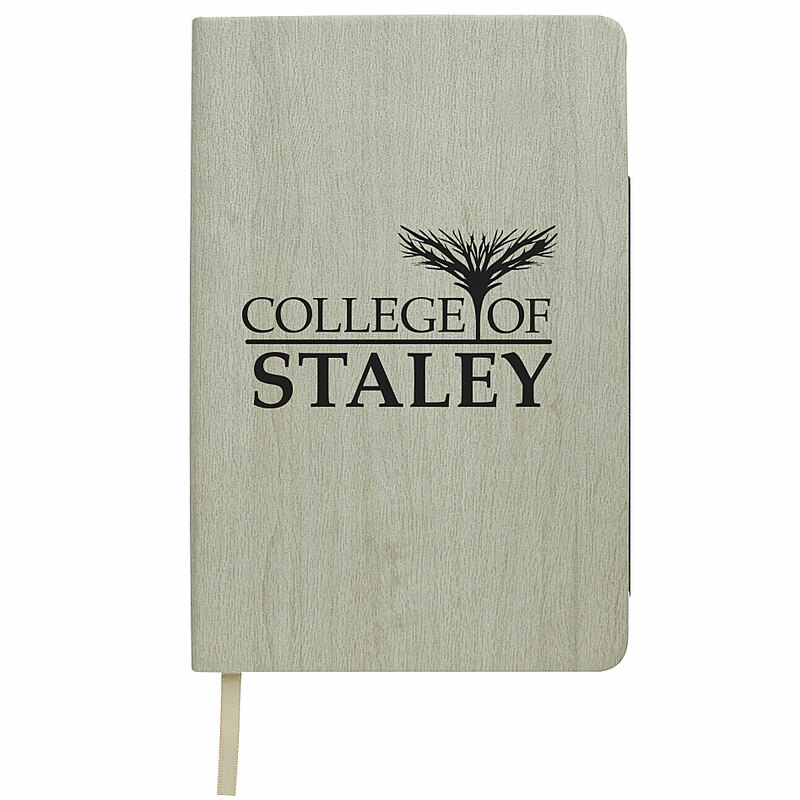 Add some style to your notes with this soft cork textured journal. This journal comes with a flexible cover with a built in matching elastic closure, matching elastic pen loop and ribbon page marker. Made from ultrahyde the journal comes with 80 cream lined sheets and includes a back document pockets. The perfect giveaway for sports enthusiasts of all ages! 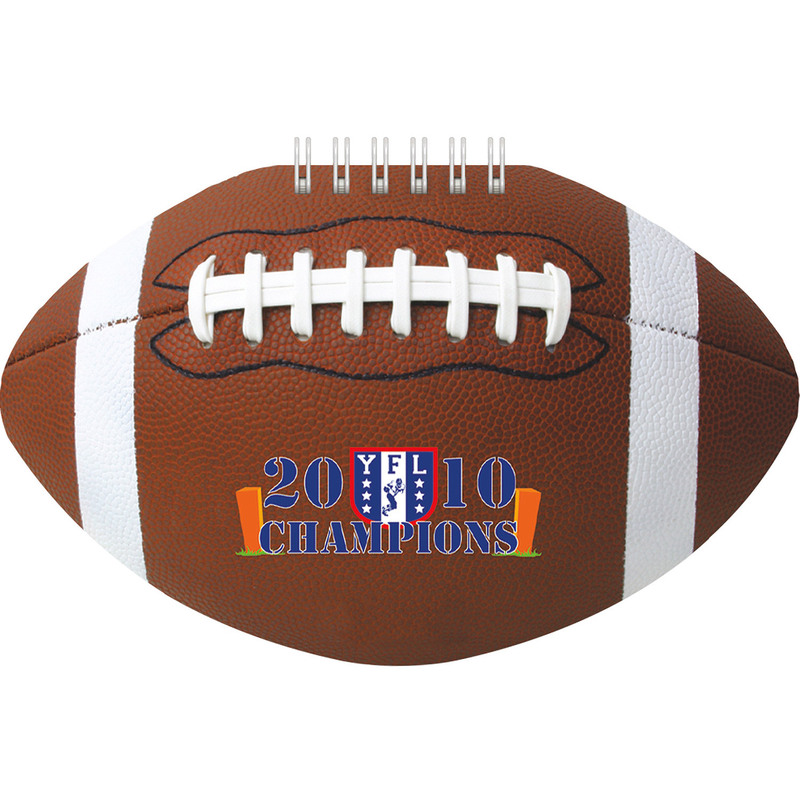 Support and promote your team with this Football Sports Pad. 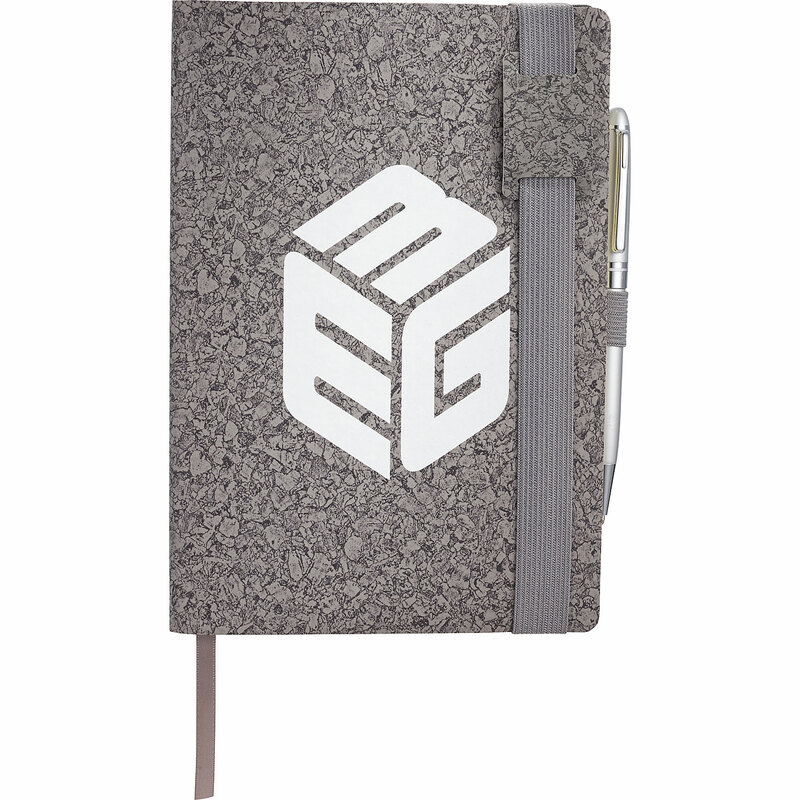 Use as an autograph book for your favorite players' signatures, a record to track team stats, or a pocket-size memo book for notes on the go. 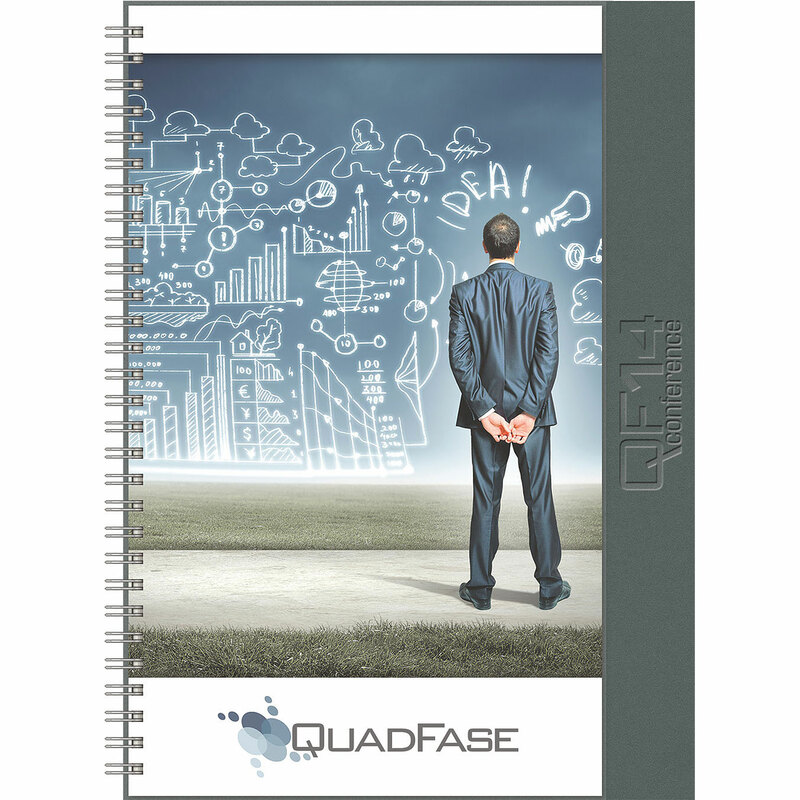 Pad includes 60 sheets of blank paper and features textured paperboard cover. Tis the season! 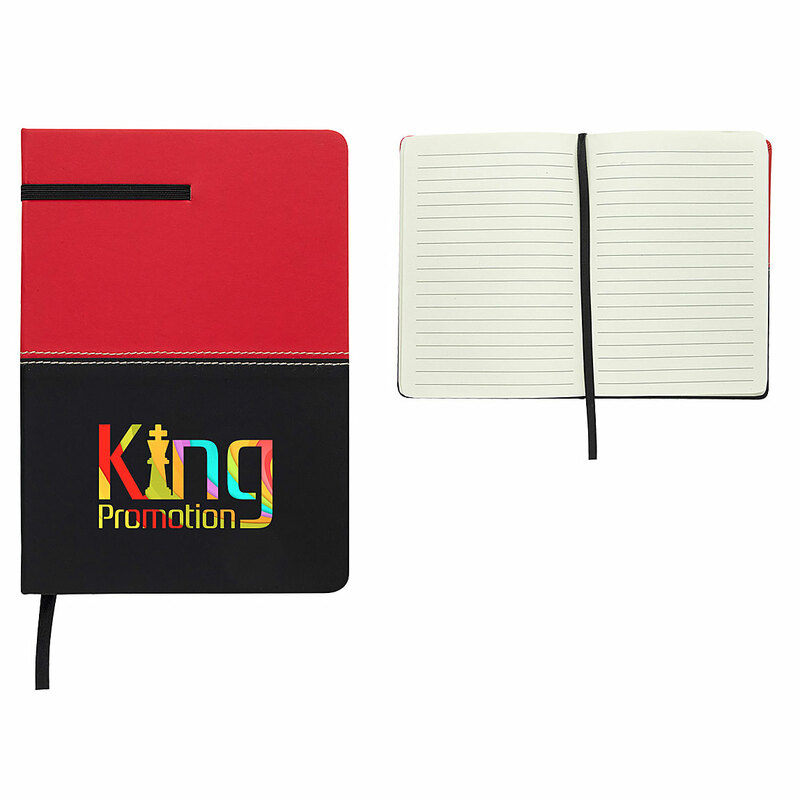 Show your appreciation with this beautiful journal and pen gift set! 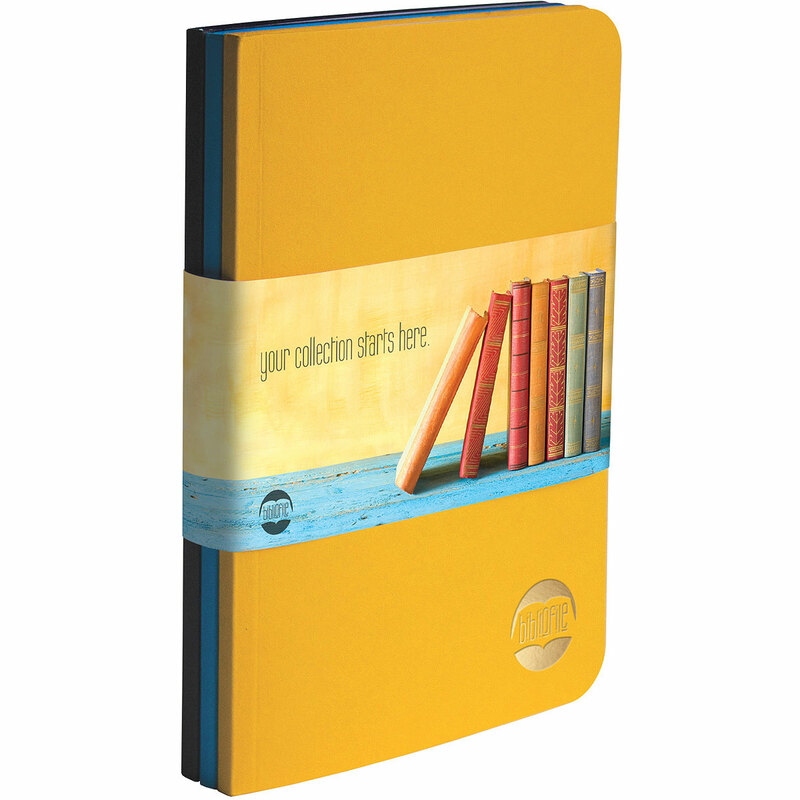 The NaplesÂ Metallic Trim Journal is 5-3/4 in. x 8-1/4 in. and features a textured Faux Leather cover with metal trim, 80 rules pages, and elastic pen loop on spine. The twist action TuscanyÂ Executive Pen is a Stainless Steel ballpoint with a Faux Leather wrapped body and medium point black ink.